On August 4 an attempt was made to assassinate the president of Venezuela Nicolas Maduro, whilst he was delivering a speech at central Bolivar Avenue in Caracas to commemorate the 81st anniversary of the Bolivarian National Guard. Fortunately, the president was unharmed during the attempt, however seven security personnel were injured. Two drones installed with explosives were utilised by the attackers and were destroyed by the military before they reached the president. The president took to twitter and gave thanks to all those who oppose these attacks. 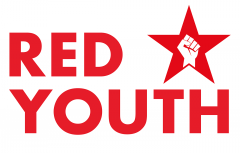 We at Red youth and CPGB-ML reaffirm our solidarity with the Venezuelan people and the Bolivarian revolution. We reproduce in full for our readers the response of president Nicolas Maduro to this assassination attempt. Fellow comrades, we are now in Simon Bolivar Hall of the Miraflores Presidential Palace, today, August 4th, 2018, after a truly nice event, due to the anniversary of our Bolivarian National Guard, an event of discipline, honor, strength of a Bolivarian National Guard that has been guarantee of peace and protection of our people. We held an event in the afternoon, celebrating- as always- the day of the Bolivarian National Guard and the day of the people. During the holding of this event without any kind of problems at all and after listening to the extraordinary speech of Commander General Lopez Vargas – really extraordinary – I congratulated him for the words he addressed on behalf of the whole military component. We were already closing the ceremony in the Bolivar Avenue. Those who know Caracas and those who do not, must realize that the Bolivar Avenue is a very symbolic avenue for the country. It is the avenue where we have held dozens of acts of demonstration of strength, moral, and revolutionary spirit of Venezuela. In that very same Bolivar Avenue, on October 4th 2012, our Commander Chavez closed his electoral campaign as his last public event. Such act was printed in the people’s memory, in the people’s myth. It was the farewell act of our Commander Chavez. Something that was very heartfelt by all Venezuelan men and women. It is in the center of the city, surrounded by buildings, houses, in the north, in the south, east and west, by stores, by the famous El Silencio towers; they were very famous in the fifties. We were saying the last words to the National Guard and to our people, precisely at that moment I was denouncing the coup d’état plan, the violent and conspiracy plan against the people of Venezuela, foreseen and announced by the Colombian extreme right and the Miami extreme right, in a total despair that we had not seen in a while. It has been a while since we have heard such maximalist statements, premonitory statements of tragedy, violence, I would say. It has been a while since we saw the coordination of statements of, for instance, Juan Manuel Santos, where he said that Venezuela is at the end of the regime; that Maduro is at edge of the end of his life. Juan Manuel Santos has stated in several meetings “we are at the final days of Maduro…” If Juan Manuel Santos himself says so, who is part of the Bogota assassin oligarchy, what can you expect? It has been a while since we have heard the spokespersons of Miami going crazy in the social networks, and the extreme right wing going crazy announcing final times with such drama, with absolute no social, political, real base in the Venezuelan society. Because Venezuela is in peace, the Venezuelan men and women are daily and permanently working. So there I was in that moment, denouncing the sabotage to the electric system – Vice-president and Minister of Electrical Energy, comrade Major General of the National Guard, Motta Dominguez; Vice-presidents: Jorge Rodriguez, Elias Jaua, Aristobulo Isturiz, Ricardo Menendez, comrades who are here, Minister for Interior, Reverol, Chief of SEBIN (Bolivarian Service of National Intelligence), comrade Gonzalez Lopez, Military High Command, General in Chief Vladimir Padrino Lopez. I was denouncing the specialized, millimeter-exact and terrorist sabotage against the electric system. They have continued with the electrical war but more precise, direct to hurt the people and to rehearse violent scenarios that have failed and will continue to fail. They will continue failing, there is no doubt. I was convening the people to register in the transportation census for the new national hydrocarbon policy, which is necessary for the country, when I denounced and said: “Let us not lower our guard”. You can see the repetition of the message, comrade Jorge Rodriguez, can we repeat part of that message? Let the people see it all, that closing message of the event: “let us no lower our guard because the conspiracy has returned”, in that very same moment, a flying artifact exploded in front of me. It was a great explosion, comrades. My first reaction was to observe, serenity, because I have faith in the people and the loyal Armed Forces. And God protects me. Yes, God protects me but here on Earth, the people and the Bolivarian Armed Forces protect me. Thanks to that, I’m still standing; I am alive and victorious, ready to continue the battles I am to endure, always. I even first thought that it was fireworks, some kind of explosive to conclude the event, but I saw that soldiers were standing firm and at that moment of seconds, microseconds, there was another explosion behind some platforms where there were relatives and officers on my right – which is what you see in the pictures- people running because of the explosion, and the rest of the personnel standing would also look for protection. They walked and run to protect themselves from the second explosion. All of this caused confusion at that time. And I was trying to understand what was truly happening. At that moment, all the security and protection mechanisms were activated to guarantee my safety and the safety of the people. The communication was cut off in that moment and the investigations immediately started, the entire investigation group was deployed: intelligence, civil order police staff, SEBIN, the military order, DGCIM (Military counterintelligence General Direction) in coordination with Minister Nestor Reverol. I have to inform that some of the perpetrators of the attack against my life are already being processed today and part of the evidence has been collected and I am not going to say anything else but the investigation is advancing. We have cleared the situation in record time. It was an attack to kill me. They have tried to kill me today and I have no doubt that the Venezuelan right, the Venezuelan extreme right with the Colombian extreme right-wing, are involved in this. The name of Juan Manuel Santos is behind this attack. I have no doubt. It was the murderous cruelty of the Colombian oligarchy. I am sure all the evidences will appear but the first investigation elements point to Bogota, which is why we heard dramatic announcements of the end of Maduro, the end of the regime. Juan Manuel Santos will be handing over the presidency on August 7th, and he cannot leave without hurting Venezuela, we have revealed all evil acts at the border. Maximum Alert! Bolivarian National Armed Forces at the border, intelligence, counterintelligence and people’s coordination. Thanks God I have an especial protection because it pointed directly to me. I feel it; I am protected by our God, the Creator, our Lord Jesus Christ, the Blessed Virgin of Chiquinquirá, our Chinita. I felt their love and blessings. I am blessed. I got the prayers and protection from you, dear comrades of Venezuela, humble women, mothers, grandmothers, combatant men, young people, children; I know I got your prayers, your love. They have not beaten us yet and they never will. Be assured that we will continue the path of a homeland that wants peace, development, prosperity, happiness, tranquility and love. An attack against a president was not seen in the country, since the attack against Romulo Betancourt. Assassinations are not a Venezuelan custom. This idea of assassinations or attacks does not come from Venezuela. Venezuelans solve our differences with words, debate, people’s vote. They are incorporating into the political life of the country elements that are not Venezuelan; burning human beings one year ago, violence to impose reasons that they cannot impose by politics, coup d’état attempts. All of them avoided and defeated. Now there is an attack against the President of the Republic. This is serious. I am sorry, comrades, we have been through so much together, I say to the Venezuelan bourgeoisie and the political opponents who want to live in the country, I am the only guarantee of peace for you to live in this country. If something happens to me, the right-wing would face millions of humble people, workmen, farmers, soldiers taking justice into their own hands. There will be no dust left. It is what the American empire is looking for, the Bogota oligarchy, a violent Venezuela in a civil war, fratricide struggle, brothers against brothers. What would have happened if this attack against me had been successful? What would be happening today in the streets of Venezuela? I do not want to overreact but this is serious, the Venezuelan right-wing crossed the line in its hatred, its despair. Of course, since they do not live in Venezuela, they hire killers already caught and duly processed. I have talked to the Prosecutor General of the Republic, Doctor Tarek William Saab, who witnessed the event. He was sitting netx to Cilia and me. I watched the videos and how Cilia got surprised, then -I remember every single thing we have gone through in that moment – my mind was always clear. What the people would be thinking, how the people can perceive it. I told the bodyguards that we must talk to the people in order to avoid despair. And for that reason I am here. I told Minister Jorge Rodriguez to send a message of tranquility to all Venezuelans and all our friends in the whole world: I am fine, I am alive, and I can tell you that after this attack I am more determined to struggle, to make revolution and to prevail by the single path that we have: the path to peace, the Constitution. The Bolivarian Revolution continues its path and nowadays I am more determined than ever to continue this path. We want peace and coexistence, we always say it. The extreme right-wing followers believe that they can impose their ideas in the country by any way. What they have done is very serious. Investigations go further, no matter who is caught. The Prosecutor General is a capable, smart and brave man and I am sure of the progress we have made. He will work on that until the end. There is not a sacred name here. We will also request – as we should – the people living abroad who are responsible, especially in the United States of America. The first investigations indicate that several intellectual and financial perpetrators of this attack against my life are living in the United States of America, in Florida State; I hope that Donald Trump’s Administration is willing to combat terrorist groups which pretend to commit assassinations or attacks against specific countries of our continent, Venezuela in this opportunity. I hope that as the investigations advance, we get the collaboration of the governments of the continent where there are extreme right-wing groups. -What makes these groups so desperate? – Why have they opted for conspiracy again? – Why have they chosen the maximum option of an attempt and assassination of the president of the Republic? Why? – What are they looking for? – We have to think about it carefully. I am sure that the Program for Economic Recovery, Growth and Prosperity I have activated is driving them to despair. This August 20th, we will have a special day with the currency conversion and an economic, financial and integral fiscal reconversion. We are going to change the economic situation dismantling the economic war mechanisms against the people. They have already assessed announcements and pre-announcements. They are so desperate because they know the economic recovery program is the solution that Venezuela needs and it is well designed, its implementation brings tranquility, prosperity, recovery, economic growth to the country. They know that for the first time in five years, we have a comprehensive, well thought and elaborated program that is coherent with the national reality that needs great changes. I am sure that these changes will be accompanied by the great majority of Venezuelans. I am sure. The good people, people who wants tranquility, prosperity, people that wants this economic situation to be solved, to put an end to this economic war. I am sure. I was talking about the transportation census; we are going to take the fuel business away from mafias and thieves. They stole more than 6 million dollar to the country per year, the fuel to the country and I have the response and the solution, I have them, but in order to make it work, we need the verified and impeccable transportation census. And this disturbs them. So they just gave orders. Some of them have even called for a national transportation strike as an opposite response to the transportation census. This is a madness never seen before. They have called to sabotage the registration in the census of transportation. When a solution is proposed, these people do not contribute. I was explaining it when the drones exploded in the attack I endured today. I was explaining it in depth. It is unbelievable, is not it? I believe in paranormal phenomena. It was surprising that someone sought to kill me just when I was explaining a key element with regard to the radical change in the economy field we are going to experience for the benefit of Venezuelans from August 20th. A coincidence, right? It happened when I was urging the Bolivarian National Armed Forces, the Bolivarian National Guard and our people to massively participate in the transportation census. Because we really need it in order to know the number of motorcycles, cars, buses and loading vehicles in the country, to know their purpose of usage, use of gasoline, diesel and gas consumption among others. All of that seeks to implement policies such as direct subsidies, and to end the mafia that steals gasoline and fuel at the Venezuelan border with the complicity and support of the Colombian government. Is it not true? I say to you comrades, do I lie to you? In that moment, I was urging all bus drivers and motor vehicle owners in the country and now I urge them again – since I am determined- to go to all Bolivar squares and participate as of today in the National Transportation Census in order to implement a new and good policy with regard to the national fuel. I ask you to support me and this program of economic recovery. The magnitude of the insane actions based on the Miami and Colombian oligarchy hatred has been immense. This was really an insane action of people who become accustomed to kill the opponent, to capture them, to torture them, to attack them with bombs in Colombia as Gaitan who was murdered 70 years ago, as the revolutionary leaders of the guerrilla groups during the 50s, 60s, and 70s, who were murdered, as the M-19 leaders and the leaders of the Patriotic Union, who were killed –more than 5 thousand murder victims. How many murder victims are after the signing of the FARC peace agreement? They were humble people, the most humble ones. It seems that there are no people that regret the death of these fighters after 70 years or more, maybe two centuries. Did not they attempt to murder our Liberator Simon Bolivar? Did not they murder our father Antonio Jose de Sucre? So, the fratricidal death related to the political field comes from Bogota, from its oligarchy. Our people must be fully aware that we cannot allow them, under any situation, to poison Venezuela with their violence, death, hatred. No. The political life of Venezuela must be institutionally, democratically and constitutionally respected. This criminal attack – ordered from Bogota and perpetrated by hired assassins that are already captured – is useful for the national reflection. It is useful to strengthen our Venezuelan awareness of peace, our awareness that our sons, daughters, grandchildren have to grow up in a country of mutual understanding, of peaceful coexistence; a country where the State and the institutions respect the people and the people respects its State and institutions. This is a democratic and solid country. This should be our goal. How many situations have we experienced? How many situations have we endured? They want to take control of Venezuela. They want to take control over our wealth, over the great wealth of Venezuela, the first certified oil reserve, and other great wealth of our Homeland. They want to reverse the courageous, revolutionary and independence project of our Liberator Simon Bolivar, brought to the 21st century by our Commander Chavez. This is the other great spiritual, ideological, political, cultural and human wealth that our country has today. It is true. How many attempts have they perpetrated? We must be fully aware of that. Our government is ruling together with the people and it is preparing itself for the success of the Program for Economic Recovery, Growth and Prosperity. Our political forces, the parties of the revolution and the social movements are generating awareness, preparing themselves for new battles and keeping the permanent mobilization in the commune, the labor union, the UBCH (Hugo Chavez Battle Units), the grassroots committee, all the forces of the Great Patriotic Pole, the United Socialist Party, all the revolutionary forces, which represent the majority of the population of our country. Our Bolivarian National Armed Forces are increasingly united with the greatest struggle morale. The FANB, the military leaders of the Homeland, are guaranteeing the security on the streets since Venezuela has to overcome all the obstacles for a better future, therefore, the FANB have to guarantee the right to peace to all Venezuelans. They failed. They always will. If God is with us, who can defeat us? Nobody! If the people is with us, who can defeat us? Nobody! Union, union, maximum union! Destiny brings great moments, great victories for all of us. In Venezuela, the peace will triumph. This attack aiming at stopping and ending this revolution will remain in history as well as how our people grew and our Homeland overcame this. They failed. They always will. I address you, oligarchs, you have failed again. In Venezuela, we have to bring those who attacked me and other high authorities to justice. Justice! Maximum punishment! There will no forgiveness. I say to those who have dared to attack us: you will not be forgiven. We will pursue you and capture you wherever you hide. I swear it for the future of the Homeland. Moments like this one make evident our conviction that our struggle is the fairest one in this Earth, and that we are on the right side of history. I can feel it in my heart since the moment I saw the explosion of that drone in front of me. That drone aimed at me. However, there was a shield of love that always protects us. I am sure that I will live for many years. Amen. I will devote all my future years and days to you, comrades, beloved comrades. Continue struggling, in permanent struggle. I prepare myself with the greatest energy and force to continue loving the Venezuelan people. I am sure that the steps we are going to take on August 20th through the Program for Economic Recovery, Growth and Prosperity will be successful. The success of this program will be the tranquility and happiness of the people. Today, on August 4th, I say, they failed. On August 4th, I say long live life, long live the Homeland, long live peace. May peace remain in Venezuela and may we continue to succeed with the truth and life. I say from my heart- with great memories for our people- towards victory always! We will be victorious. We will always prevail! Previous Previous post: Solidarity with the Bolivarian Revolution!